I have actually already completed my holiday shopping (YAY!!!) - including the 5 birthdays I have in my family from Thanksgiving to New Years (DOUBLE YAY!!!) 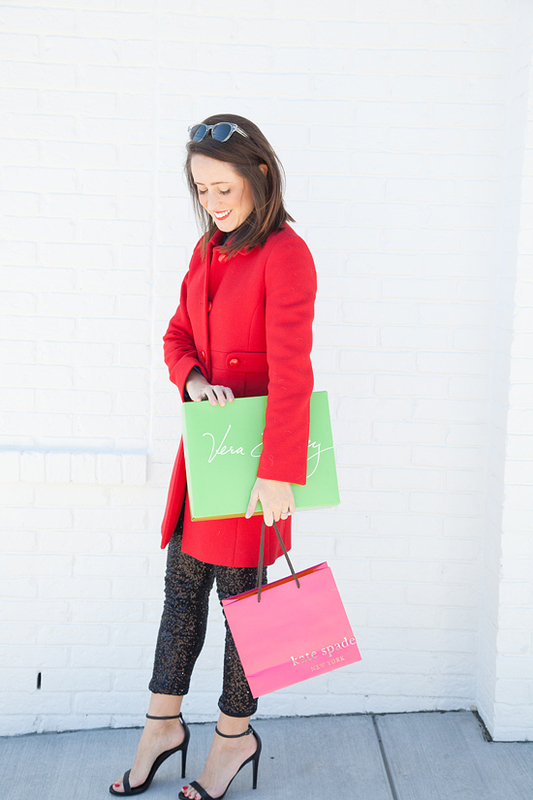 - & am happy to share some of my shopping secrets. 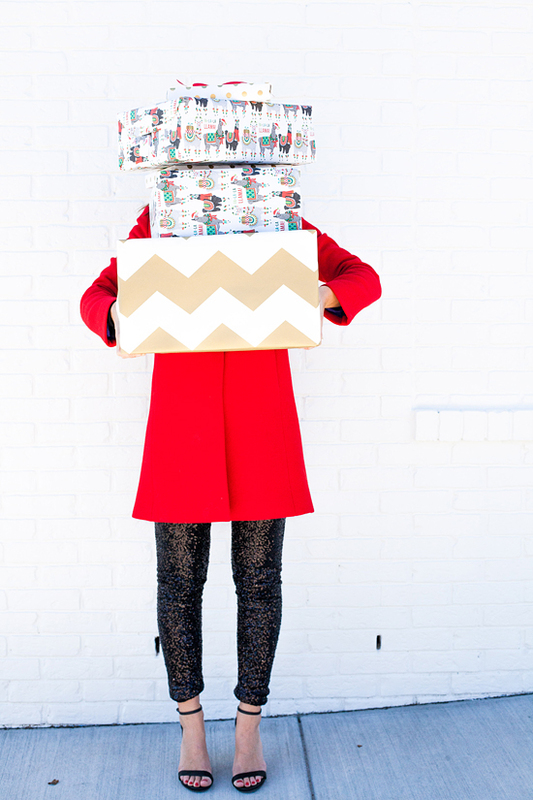 **Scroll down for a $100 gift card giveaway from Simon Malls to help wrap up your shopping list too! At the minimum, my relatives receive a holiday card from me, with a recent picture inside - I love getting holiday cards from friends & family - as it is sometimes the smallest gestures that make the biggest impacts. For your friends who have a love to travel - give the gift of a new weekender bag, so they can tackle their next adventure in style. 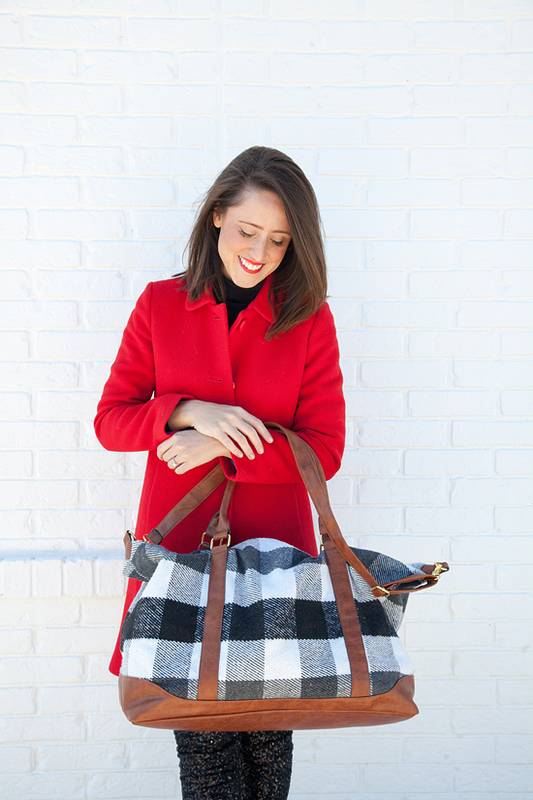 I love this plaid duffle from my local Old Navy Outlet store. 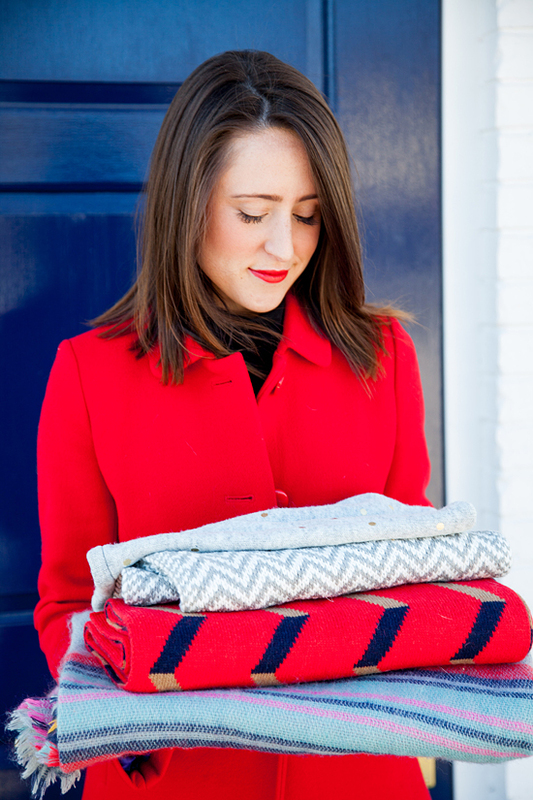 As a style blogger, I have the opportunity to test drive many different clothes & beauty products, & it is fun for me to give friends & family some of my favorites. 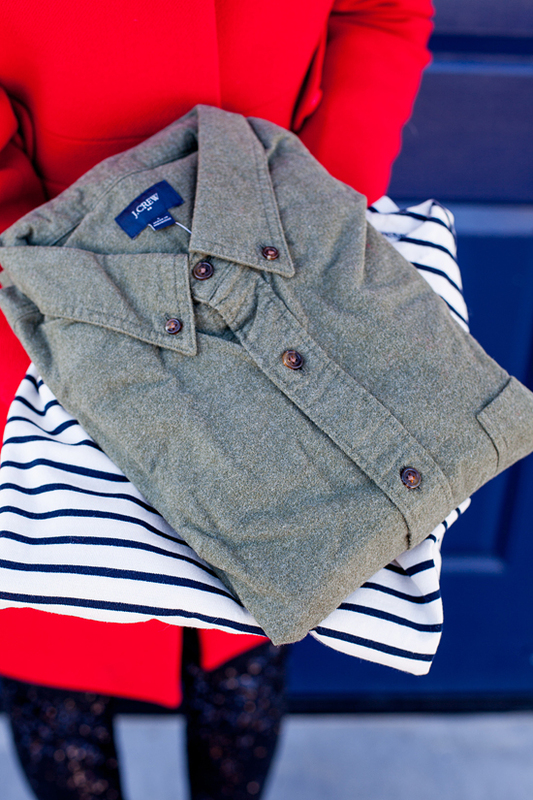 On this years gift giving list are these chic (& oh so super affordable) black ballet flats from Old Navy, my beloved boatneck striped shirt from J.Crew Factory, & these wonderfully cozy flannel buttons downs (with awesome leather elbow patches) from the J.Crew Factory men's selection. I enjoy finding creative ways to wrap my presents & this year I am thinking more about how to eliminate waste in my wrapping paper game. 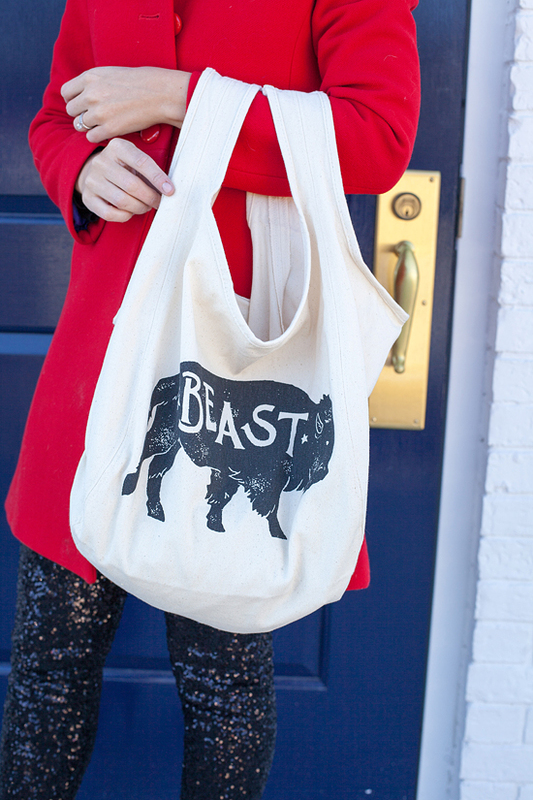 This cute Buffalo "BEAST" bag (from Old Navy Factory) will be a great way to wrap my sister's present - she writes a blog called Ernie Bufflo & is a super beast mom to twin 3 year old girls. Needing small gifts for co-workers? 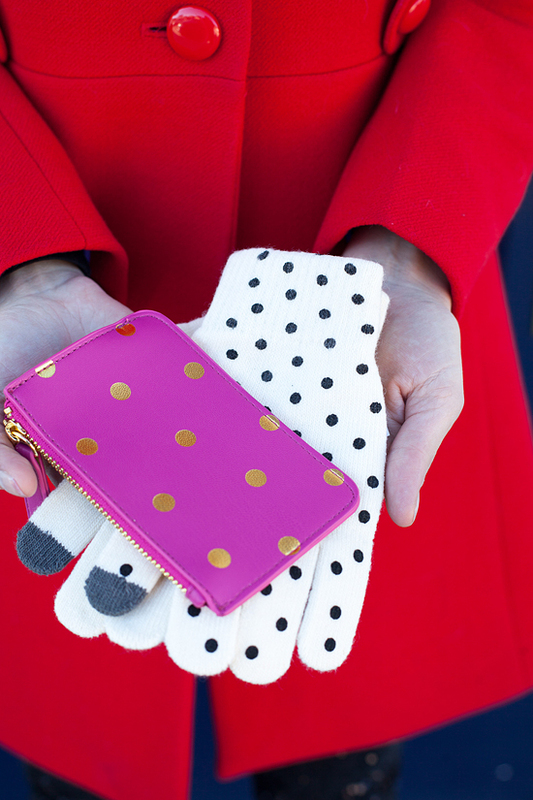 Give them their favorite gift card (January will be better with a Starbuck's gift card in hand) in this cute polka dot zip pouch, or tech friendly gloves to make their commute cozier (both under $5 & from Old Navy Factory). 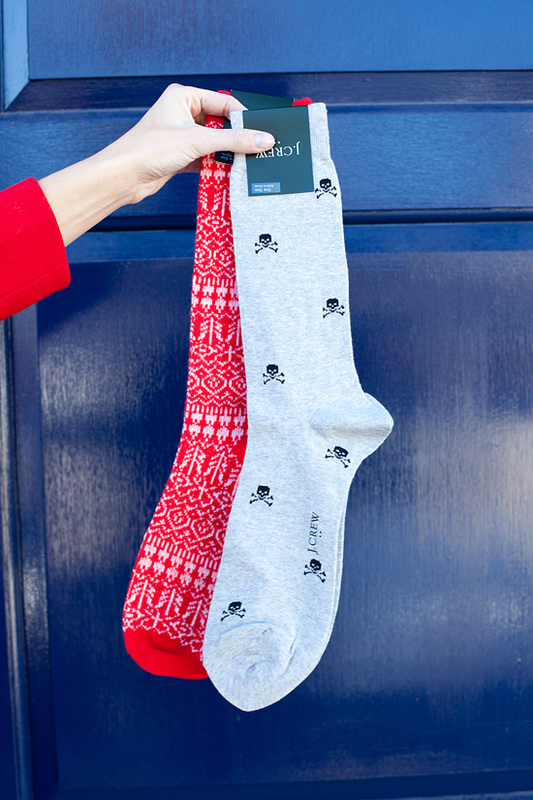 My go-to stocking stuffer ideas are socks (shop the men's section for some cheeky printed ones!) 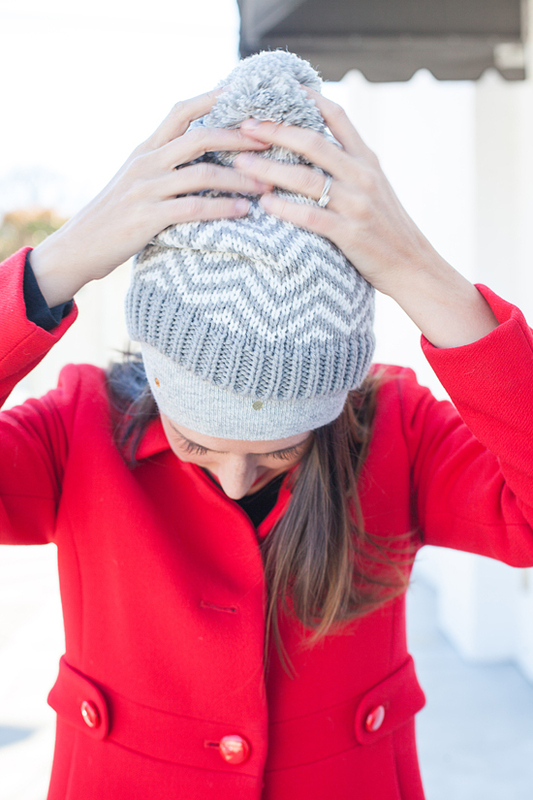 or pom-pom hats (socks from J.Crew factory, hats below both from Gap Factory). The great thing about all of my top shops for finding gifts, is that they are all housed at the Nashville Opry Mills Mall! I prefer going to the mall when I want to cross everyone off my list, all at once, avoiding paying for any shipping costs & I always save a ton. On my recent trip, I scored all of my items (including amazing things for my mom from the Kate Spade Factory store, cozy clothes for my nieces from Carter's, and fun Nashville items for out of town relatives) at over 60% off retail! 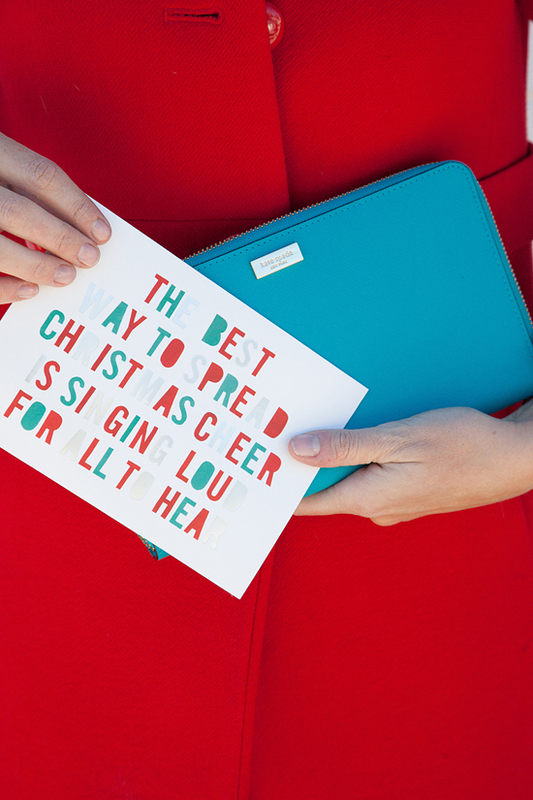 Lucky for you, Opry Mills is giving one of you a $100 gift card to finish up your holiday elfing! Enter below using the Rafflecopter widget, & the randomly selected winner will be notified by email next week! This post was sponsored by Opry Mills Mall, but all opinions and reviews are my own. Thank you for supporting brands & businesses that are such great partners of my blog.